Crashed Out have their annual Xmas bash on Friday 28th December at The Office in South Shields with support from Hi-Fi Spitfires, Underline Hero and Minnie. First band is on at 7pm and tickets are £5. Three of The Lurkers are back as God's Lonely Men and they have a new album out. I don't know why they just don't joing forces with Arthur and do it properly. The Lurkers were one of the first and best bands formed during the late 70's punk rock explosion in the UK. Based in West London and with classic singles such as "Shadow", "Ain't Gotta Clue" and "I Don't Need To Tell Her" still sounding as fresh and exciting today as they did back then. Their first album "Fulham Fallout" is an acknowledged classic of the time. 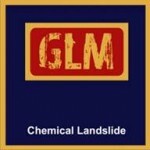 Now the three original members Pete stride, Pete(Esso)Haynes and Nigel Moore have joined forces once more to form God's Lonely Men (GLM) whose 14 track debut album Chemical Landslide has today been released on Unlatched Records. This is an event which many have looked forward to for a long time, and the new songs are certain to please old fans, but also bring things right up to date with a vengeance.